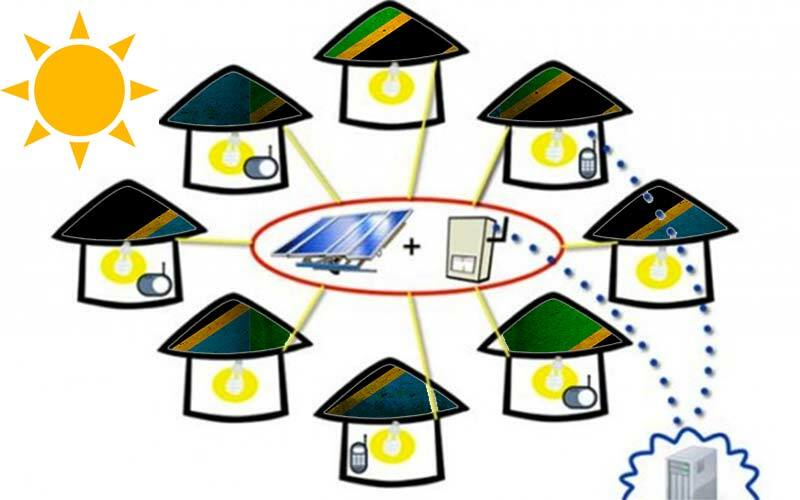 Developing Energy (Devergy), a Netherlands-based developer of solar power micro-grids, has recently received an investment from three global institutions to develop, implement and test high efficient, reliable and affordable solar power micro-grids in rural off-grid communities in Tanzania. The amount invested has been partially provided by Acumen, a non-profit organization investing in East Africa in sectors as water, agriculture, sanitation, low cost housing and energy, OPES Impact Fund, an Italian fund dedicated to support enterprises in emerging countries in the early stages, and HERi Africa, a non-profit organization that promotes solar energy in Madagascar and other African countries. The total amount has not been disclosed yet by any of the organizations but it will be used to keep extending Devergy’s solar power micro-grids in rural regions of Tanzania where it has so far connected 800 households spread in six villages with Matipwili, located 150 km eastward from Dar es Salaam, as the first benefited village in 2012. Access to energy brings positive transformative change in rural regions to fight poverty and Devergy’s technology represents innovative market solutions that meet the needs of the poorest population in Tanzania and East Africa in the future, reason why Acumen decided to make its first investment in the energy sector in the country, explained Acumen East Africa Director Duncan Onyango. Devergy’s solar power micro-grids have the technology to provide access to energy in the most remote areas of Tanzania by maintaining a high-quality and affordable service, added OPES Impact Fund Executive President Elena Casolari. The economic viability of Devergy’s solar power micro-grids will open a new market to bring reliable and affordable electricity solutions to 1.5 billion people in the world who have not access to energy, concluded Heri Africa General Manager Junte Wasmann. Devergy’s solar power micro-grid is a village-sized solar powered micro-grid electricity which can be used by either households or businesses and that due to a cloud-based monitoring technology, avoid problems as non-payment and energy thefts, while helping them to save money by no using kerosene to power its lightening needs. According to the World Bank (WB), only 15.3% of the Tanzanian population has access to electricity. This increases to 46.4% in urban areas and decreases to 3.6% in rural areas. Tanzania’s national grid counts with 18 lines of 220 kV totaling 2,732 km, 16 lines of 132 kV totaling 1,543 km, 5 lines of 66 kV representing an extension of 544 km, and 38 grid primary substations of 2,189 MVA representing a total capacity installed of 1,509.85 MW.